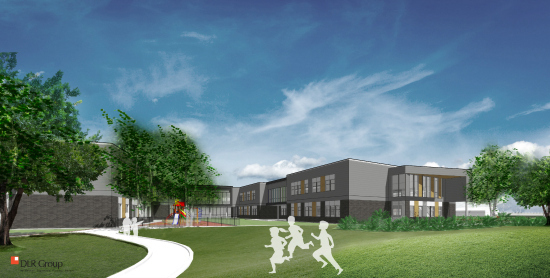 On Monday, October 8, 2018, the Urbandale CSD School Board approved the Design Development Submittal for Elementary School #1 on the Olmsted site. 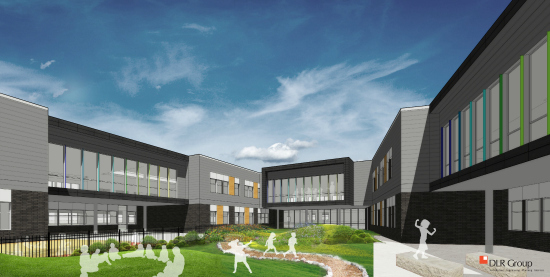 What this means is that at this point, approximately 90% of the decisions regarding design development have been made and DLR Group, Stahl Construction, and Urbandale CSD will now proceed to the Construction Documentation Phase. Check out the most recent images below! 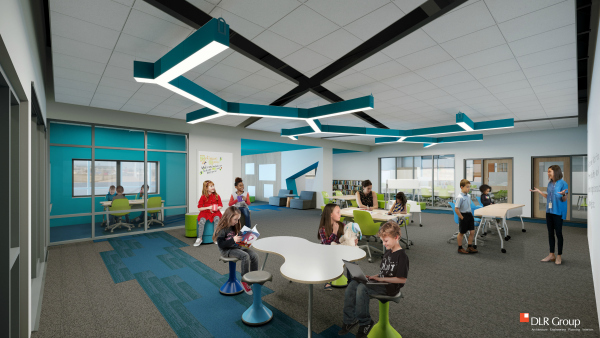 We’re excited to share the following highlights of elementary school #1 and renderings by DLR Group. 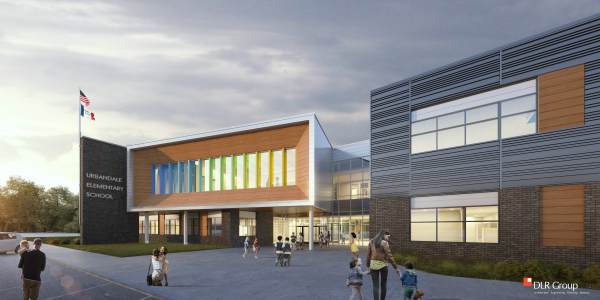 The new elementary school will be constructed on the current Olmsted site and will be a 2-story, 4-section building (i.e. 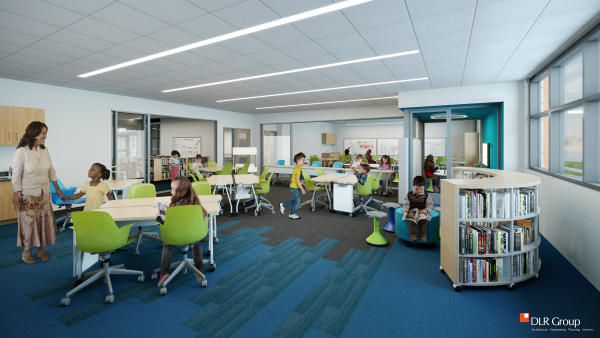 each grade level will have 4 sections). 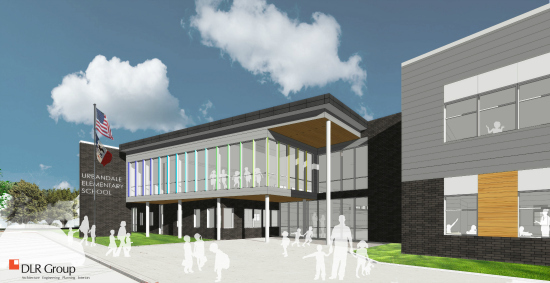 The main entry will be on the north side of the building with a safe and secure vestibule/double entry system. 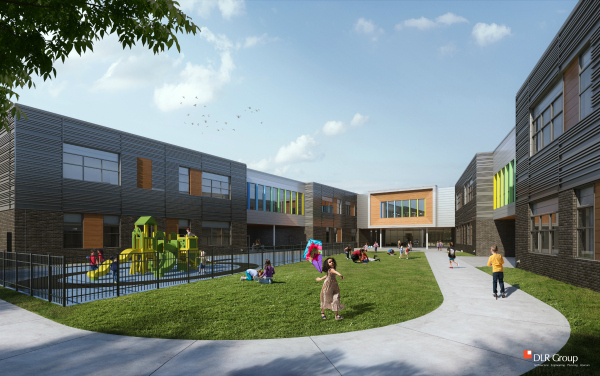 Preschool will have its own entrance and own play space with K-5 having a separate play area. There will be a separate bus drop off/pick up area from the main entry drop off/pick up lanes. Students and educators can enjoy outdoor learning opportunities in the courtyard nestled between the two main wings of the building. In case of a severe weather emergency, the school will be equipped with a safe room that all students and staff can take shelter inside. 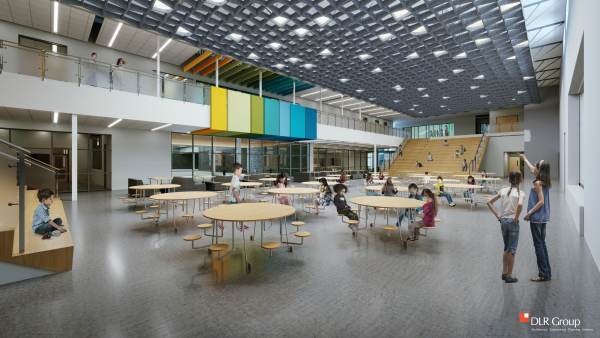 A natural palette for the exterior with subtle use of color will welcome families into a school full of natural light and flexible spaces that are conducive to supporting learners now and into the future. 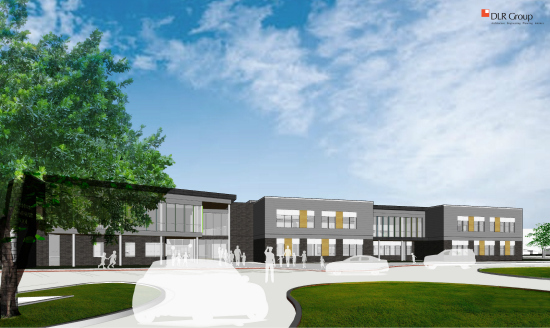 Construction will begin June 2019 and will be completed in the summer of 2021 in order to welcome students and staff for the 2021-22 school year. 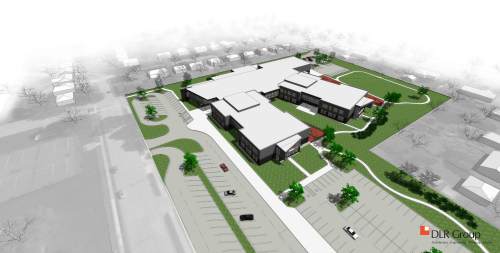 During the 2-year construction phase, Olmsted students and staff will be relocated to Jensen Elementary and Karen Acres Elementary.